Eckhart Tolle refers to the emotional side of ego as the pain body. The pain body is the out-of-control emotional energy that sometimes arises within us during conflict, stress, or times of great fear. It takes over the body and mind and makes us react in ways that we later recognize as insane. “I don’t know what came over me.” That’s the pain body. He compares it to a vicious animal within us. Like any life form, as long it lives it is fighting for survival. It needs to feed every few days in some or every few weeks in others. Its food is negative energy and drama. If this doesn’t come from an external source, the pain body creates it by starting conflict or by focusing on negative thoughts. As long as the ego is alive, the pain body is alive. 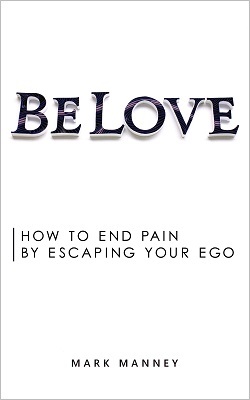 The only way to avoid getting drawn into a pain body episode—which threatens to ruin relationships and cause irreversible problems—is to destroy the ego. Eckhart Tolle teaches that present moment awareness and inner-body awareness are the best portals into consciousness—the best way to escape the ego and thus eliminate the pain body. While this is effective, I have found an even more effective way to destroy the ego: choosing perfect love. The ego’s value system is based on separation and fear. Love is union (the opposite of separation) and the antidote to fear. If we condition ourselves to always align with the values of love, to always choose the loving response, then the ego cannot survive and nor can the pain body. More on this in future teachings. This is what I practice and I don’t recall having a pain body episode for several years now. We continue tomorrow and each day after that.